Online Banking, social networking sites, forum, blogs, Emails, etc.,–it is really difficult to remember all the passwords you set on those varied accounts. You probably one day find yourself in a hysterical situation staring at your computer’s start up log-in page and unable to remember your Windows 7 password. You can’t call a locksmith, because the locksmiths can only unlock your car’s and home’s doors, not PC Windows’s doors. You need to find Windows 7 password through other specific technology with basic computer knowledge. In fact, Windows 7 has its own backup solution. Before you forgot Widows 7 password, you need to create a Windows 7 password reset disk in case one day you lost your password. Not create yet? Just insert a blank floppy disk to the drive, and click “Start”->”Control Panel”->”User Accounts and Family Safety”->”User account”. And then click “Create a password reset disk” in the task pane on the left. Click “next” when the “Forgotten Password Wizard” window appears. Specify the media drive and continue to click “next” until the burning progress indicator shows 100%. OK, it’s time for this password reset disk to act. When you type the wrong password, you will be noticed that get the wrong password. Click “OK” to see “Reset password” option. Insert the disk and click “reset password”. A “password Reset Wizard” Window appears, follow it and type the new password twice. Done! For most of us, we are not so prudent to make a password reset disk in advance. So there is another way to show your good memory. Just click “hint” right beside the prompt where you type in the password on the Welcome Screen. Explore your memory to remember anything related to with the hint. One of those may be your password. Compared with the two methods above, Windows 7 Password Finder is more flexible and easier. No need to jog your memory, no need to prepare in advance. You can easily reset Windows 7 password even after you forgot the password. Step 1: Here we need another computer to burn password reset disk. Insert a blank CD on this PC, and launch Windows 7 Password Cracker. Step 3: Click “burn” to start the Windows 7 password reset disk burning. Step 4: From this CD, boot the computer for which you lost the log-in password. And then choose the system you would like to reset password for. Step 5: Highlight target account, and click “reset”. And confirm your reset by click “Yes” and “OK” in the next text boxes. The last step you need to do is to reboot your PC to active the action. 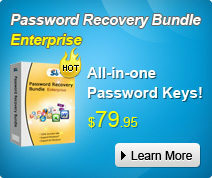 Though there are 3 ways for choosing, but as far as I concerned, Using Windows 7 Password Finder is the best choice. Good Luck for all of you!